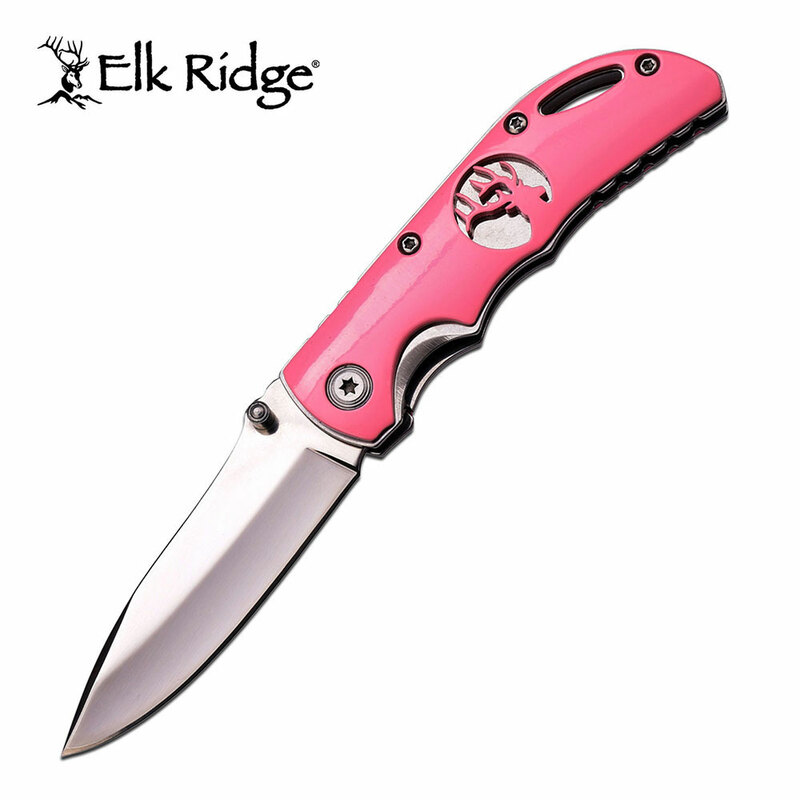 Beautiful bright pink Elk Ridge pocket knife with mirror finish blade and elk overlay on handle. This pocket knife would make a great gift idea! These knives are designed for the true outdoorsman! Elk Ridge is a hunting focused brand featuring hunting knives, skinners, game sets, machetes & axes, and even gentleman's knives. This line has fixed blade knives and folding knives in all types of appearances, from camo coatings for the hunter looking to remain permanently concealed, to beautifully natural and synthetic handles.